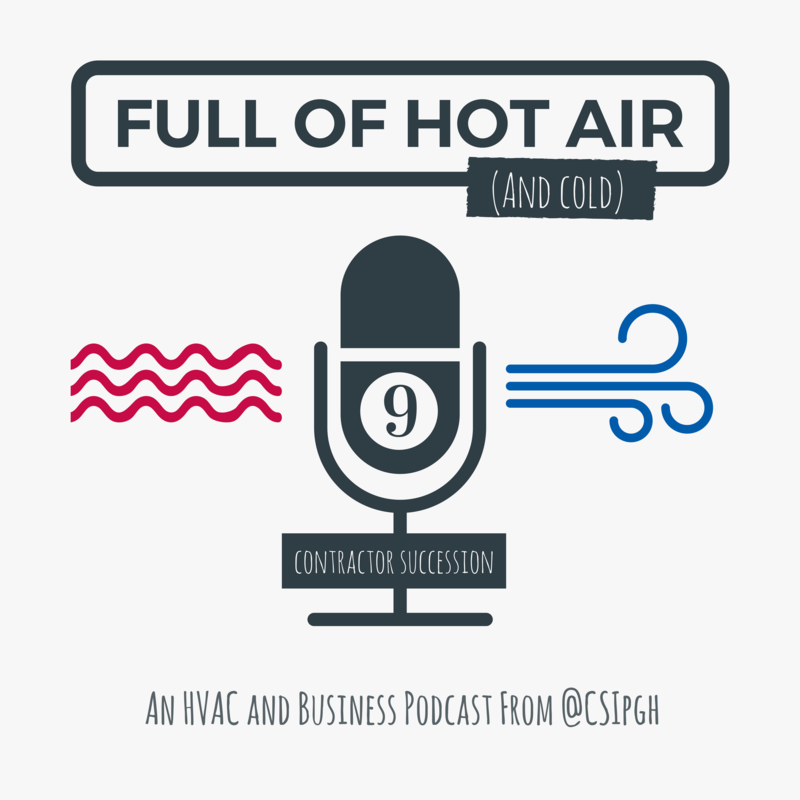 I had the great opportunity to sit down with Brendan and Marybeth Heckler of Comfort Supply, Inc in Pittsburgh on their podcast “Full of Hot (and Cold) Air” recently to discuss Contractor Succession. I’ve attached the link below. https://csipgh.com/full-of-hot-and-cold-air-9-contractor-succession/ I had an absolute blast with the two of them. They were knowledgeable, engaging and a lot of fun. The podcast is about an hour long and we hit on dozens of relevant topics for contractors at all stages in their business. In addition to conversations about exit strategies, we also discussed processes, emotional issues and making more money in your business today. I realize I’m a bit biased, but I believe the information we shared in this podcast contains plenty of good stuff that can especially help owners of businesses that are within 5-10 years of wanting to exit their business profitably. We hope you take the time to listen then feel free to contact us at 833-4U2-EXIT or at www.contractorsuccession.com.